We all love running games. They are casual – simple to play. Yet, they are also so much fun and addictive. Here is what we consider to be the 5 best running games for Android! Minion Rush: Descipable Me, currently counts more than 100 million downloads. We definitely had a blast playing it and we’d recommend you to check it out as well. It’s a completely free to play game that features in-game purchases. As for the game mechanics, well, more or less the same that other running games feature. You can move between 3 lanes and jump above obstacles while avoiding others by sliding down. Furthermore, Despicable Me also features various challenges, different costumes, boss fights, power-ups, and more. It also never ends until you lose which makes it one of the many unlimited games. And let’s not forget one tiny but ever so important detail – minions. Simply adorable. Yet evil. Yet adorable – yet evil. One thing that we particularly like is how it offers numerous maps to play through. 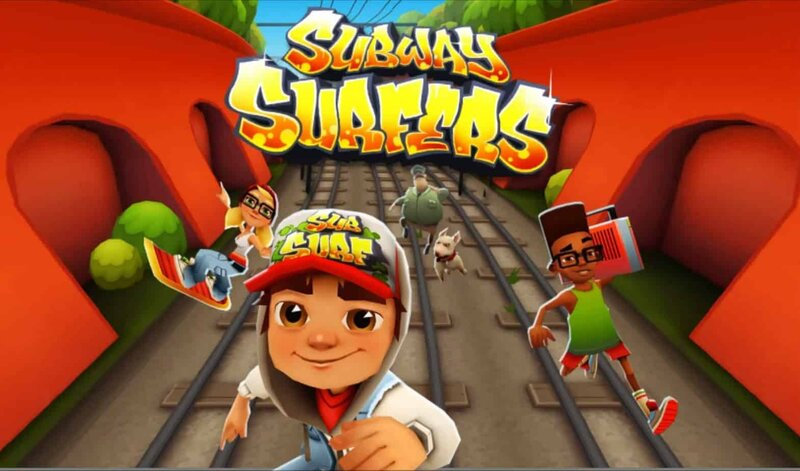 It’s a simple method of giving a game a fresh look and prevents the game from becoming too repetitive – unlike some other *cough* Subway Surfers *cough* running games. Subway Surfers is another great game. It has a rather unique art style that you’ll either love or hate. Even if you do end up hating it, the game currently counts more than a billion downloads. So, you really can’t deny that it deserves a place as one of the best running games at the moment. You can choose between three main characters and various outfits. The game is free but do keep in mind that it also has in-app purchases. The core gameplay doesn’t differ too much from other running games. Three lanes, obstacles that you can avoid by either jumping above them or dashing below them, etc. If there’s one special thing about Subway Surfers compared to other running games then that would be the occasional trains that come your way. It may not sound like much but trust us, it can make the game feel extremely fast paced. And if there’s one thing that can be considered bad about it, then that would be the lack of maps. Every single place in this game feels more or less the same and that can make it feel a bit repetitive after a while. On the other hand, if the game wasn’t based in that scenery then it wouldn’t be called Subway Surfers now, would it? Jetpack Joyride is one of our favorite unlimited games and with more than 100 million downloads, it absolutely deserves a place in the 5 best running games. It’s rather different than our last two mentions. How? Well, let’s take a look at it! Unlike most running games where you can move between 3 lanes, Jetpack Joyride allows you to sort of fly in a 2D environment with a Jetpack. Different Jetpacks are available to use as well but they don’t make a difference in gameplay. They are purely there for cosmetic reasons. The challenges were a fine addition while the level up system on its own can easily make this game addictive. Of course, achievements are also there. But, for the most part, they seem to go unnoticed. 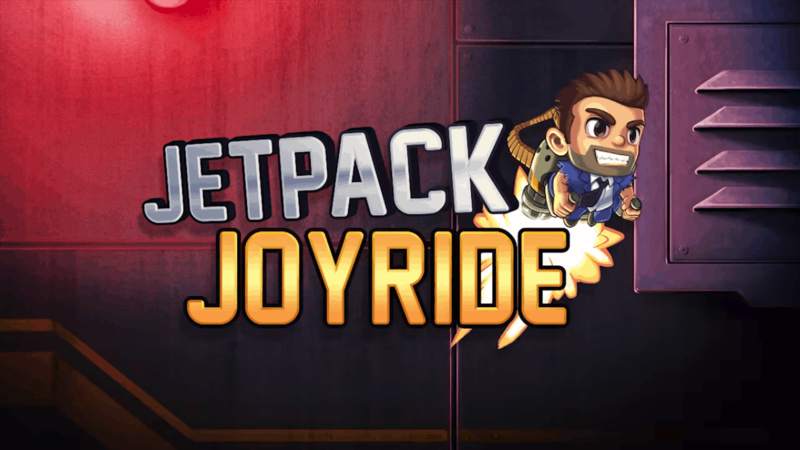 If we had to pick a single negative thing about Jetpack Joyride, then that would be its ad persuasion technique. It’s not a deal breaker or anything but it can be annoying at times. It’s just that you get to watch a video ad with every round that you play. For the most part, you’re not forced to. However, it’s hard to refuse it when you get a second chance because of it. As a side note, in case that you like playing with gamepads, do keep in mind that for the most part, we managed to play this with the GameSir G3S without any problems. The only issue is that you can’t start the game with the Gamepad. You need to first touch on your screen for the game to start and then you can carry on with the game controller. 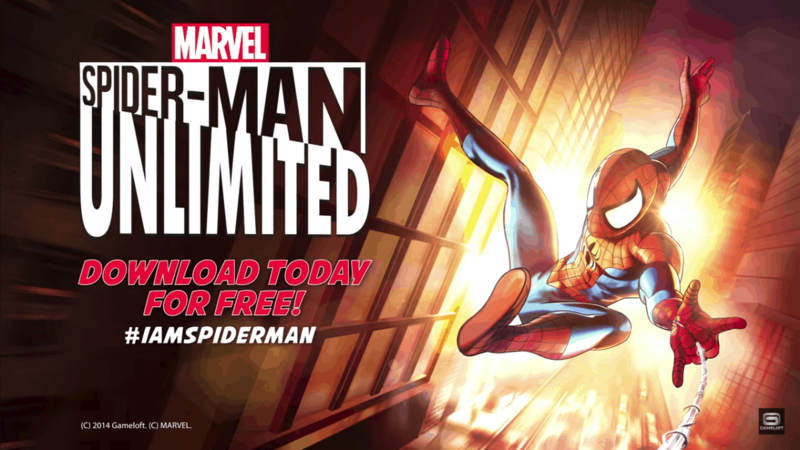 With more than 100 million downloads, the name of Marvel behind it and its unique design, how can you possibly not place Spider-Man Unlimited in the top 5 running games? Let’s take a deeper look into it. Spider-Man Unlimited offers a cartoonish art style. The big difference between it and most running games is that this one offers a story mode as well. Furthermore, as Gameloft mentions in the Play Store, you can choose between more than 200 characters. So, you could say that this one will definitely go to your collection of unlimited games. At a first glance, the story mode doesn’t look too bad either. Dialogues are smart. The plot look a bit cliche but hey, this is an Android running game. Let’s just be glad that we even have a story mode to begin with. And if you don’t like the story, well, you could still play it as a classic running game like you do with all unlimited games. As for the gameplay, you get the classic 3 lanes with the enemies and objects that you must avoid. However, you can also swing while you’re airborne and have boss fights. 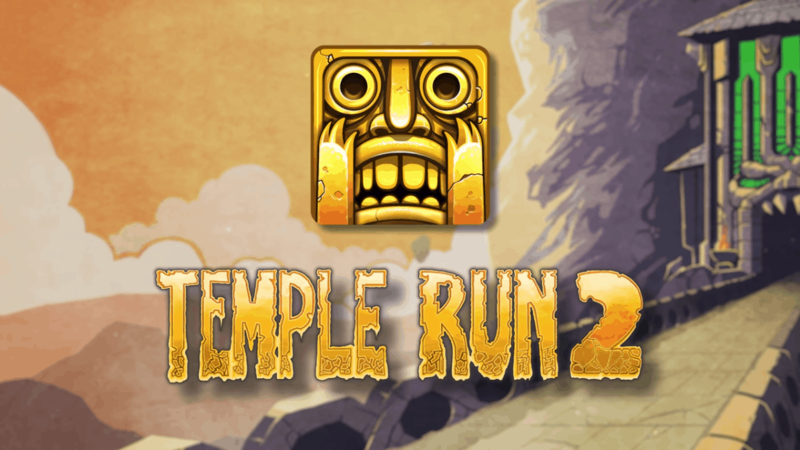 When it comes to running games and unlimited games, how can you possibly not mention Temple Run? With more than a half a billion downloads we must absolutely include this one. Temple Run was one of the first running games to ever come out for Android and it’s still super popular. It also was one of the first games that introduced the 3 lane movement and the dashing + jumping controls as we know them today. Temple Run 2 offers better graphics, a few more playable characters, new environments, powerups, and powers. In the rare case that you’ve never played Temple Run before, it’s basically your average running game except that monsters are chasing you. Looking for more action? Then you may want to check out our best 10 multiplayer games for Android! Like what you see? Then don’t forget to follow us on Facebook and Twitter to receive more like this and the latest Android news!